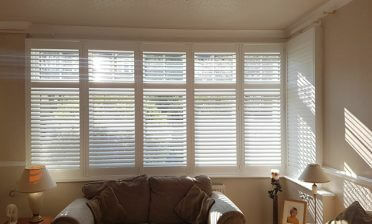 We visited a customer in Redhill, Surrey to install some full height shutters to their living room window. The area we were installing the shutters was a ground floor living room which was located against a busy road so privacy was a concern. The shutters needed to be the perfect mix of privacy but still allow maximum natural light into the room when required. 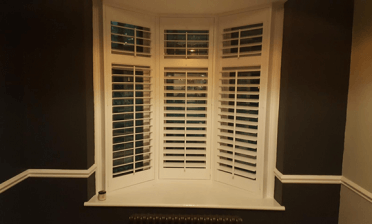 After discussing all the options in detail with the client, they opted for our Antigua MDF range of full height shutters, complete with mid rail. 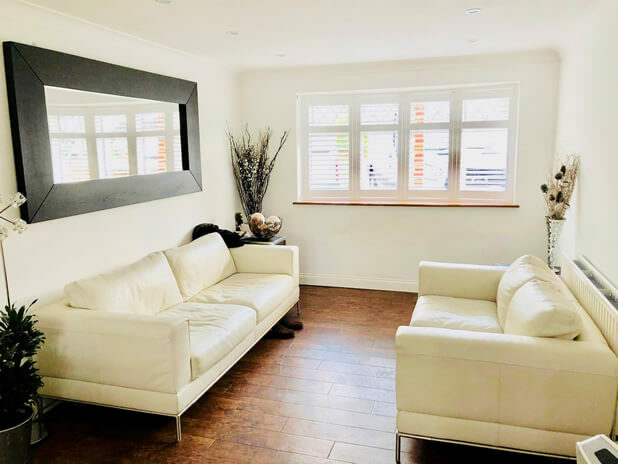 This range is our entry level of shutters compared to the hardwood offerings, but popular due to being more cost effective and still a great quality solution. One limitation is that it is only available in 5 shades of white, but for many customers this is perfect! The mid rail was placed a third of the way down the shutters, matching up perfectly with the window lines behind and adding not only strength, but more adjustability to the panels. Now the client can adjust the top and bottom sections independently! 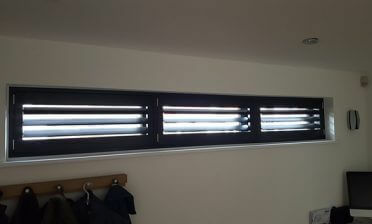 We used 63mm louvres with hidden tilt rods. This helps to create a more modern feel that the customer wished for, rather than visible rods which have a more traditional appearance. The louvres can be adjusted by touch due to the inbuilt mechanisms. The shutters were installed using plain stiles, again adding a modern feel and 4 sided deep plain L framing. The customer loves their new shutters!